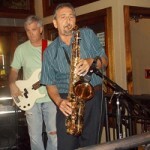 From bars to restaurants to coffee shops and even festivals in and around the Tri-State area, if you’re looking for an all-around saxophonist, Joe is your man. With over forty years of experience, and an unwavering passion for music, you won’t find a better all-around musician than Joe. 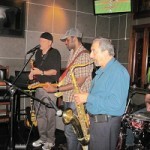 Joe, with eight piece NY-based funk/blues/Motown band, Stax of Soul. Frank Sinatra, Tony Bennett, Perry Como, Dean Martin, Michael Buble, and many, many other artists of all time periods are just an example of Joe’s playlists. From your favorite classic party hits all the way up to today’s latest and greatest, Joe has you covered for your entertainment needs.